Today is an exciting day for us, as the first third-party application has officially launched using the new Geocaching Live API. CacheSense is now available for download on the BlackBerry OS, and features direct access to the Geocaching.com database of geocaches and Trackables, secure online access to your account, Pocket Queries and more. CacheSense has a loyal following and active geocacher/developer at the helm, and Groundspeak is honored to kickoff the API launch with a quality application. Visit CacheSense.com for more information. More than 35 trusted partners are currently developing against the Geocaching Live API, on everything from mobile devices to desktop applications. Stay tuned for multiple releases coming very soon. Many thanks to all geocachers who have provided feedback on User Voice. Happy Geocaching! Wow! Sounds great! Thanks a ton! I thought today was the day that the new GPX format would be out (includes picture links, favorite points, etc.) Did that make the deploy today? Cachesense (formerly cacheberry) is a great app. Shame I switched from a blackberry. Extremely disappointing. These other projects must be awesome because that is what we have been hearing on many things since late spring. Oh noooooooo. I was so looking forward to filtering by Favorite points. Yes...nice new attributes. I hope people will use the Tree Climbing attribute when needed. So when do the rest of us get the API? Specifically GSAK? Not sure I understand the point of this one. If a cache needs maintenance, shouldn't the cache owner "temporarily disable"? The http://www.geocaching.com/live/ page is confusing based on the updates listed above. Is there an Android "Live" app, or only the Blackberry "app" so far? No age restriction on posting caches autonomously. Is it OK for a 10 year old to open up an account and post a cache without parental consent? "By using the Site, you represent and warrant that you are 18 years of age or older. If we believe that you are under 18 years of age, please be advised that your account may be terminated without warning." I suspect some tree climbing cache owners will see this as a spoiler and not use it. Interesting. Does "Site" mean just the forum, or geocaching.com's database too? The terrain rating is usually enough to figure out that it's up a tree. I'll submit as a request, but man... too much on the integration with FB / Twitter. Allow us to toggle it "on" (default = off) for certain caches we log (as it stands, it seems to be on (once allowed) for every finds and DNFs). I'm gonna lose all my FB friends when I log my 200 cache runs . I'd like the FB/twitter ability to toggle it for each cache... even the FB / twitter reporting of awarding a fave point would be cool, and actually useful. Alignment is off in "Post a new log" under the "Log Options" section for a cache. ...I'd like the FB/twitter ability to toggle it for each cache... even the FB / twitter reporting of awarding a fave point would be cool, and actually useful. Completely agree with this. I won't use it if it's all or nothing. Really like the idea of sharing logs on favorites but if it isn't selective I won't do it. How about another checkbox on the log page next to "Add to your Favorites". Something like "Share on FB" & "Share on Twitter". After you connect your Twitter/Facebook accounts just uncheck the box in the settings that say "I log a cache on the website". 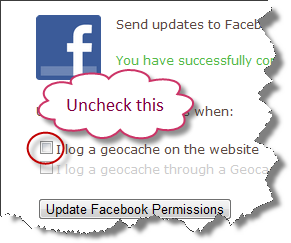 This will give you the option of posting each time you submit a cache find log, but won't enable it by default. Jeers from the crowd (of 1). And not just a month delay, "late September at the earliest". Hugely disappointing. As a big advocate of Attributes I am very pleased to see not only the 4 new attributes, but also the Attribute limit increased. Thanks!!! There has been a lot of discussion about the PQ maps - that all caches show up and this isn't working or desirable for many people (me included). I haven't seen it addressed yet - is there anything upcoming? We took a stab at this issue over the last week but weren't happy with the way it was implemented so it was rolled back. We recognize it's a big complaint from Premium Members so we're going back to the drawing board with some other ideas. I hope to announce a fix for this very soon. Well how about that, it already does! When I went to a log page before posting here it wasn't visible. It doesn't appear as an option until you select "found it". Nice! Well it's not really a "Public API Launch" until the launched API is Public, is it? Hah! I had "Beta" in there at one point but I must have edited it out. I'll add that back. Just remains to say that hopefully the "public launch" will follow soon! I have just tested the Facebook integration and it works, though I wish the facebook post would show the name & GC code of the cache I found. Twitter on the other hand still does not work when logging from the Android app. I tested this with on one of my caches (GC2MF0W) using the authorization I currently had, then I revoked it and redid it. Both had the same results, no posts to my twitter account. This last worked for me back in May. SO BUMMED. I was hoping this would be fixed. I wait patiently. a-ha OK. Never even thought of that option. You might need to change the wording on the page then, not clear at all. I must have missed something because I cannot find this on one of my own caches ... ? Glad to hear you are working on this. The use-ability of the maps is very limited without the ability to list the caches shown with reference numbers. In the meantime, any chance of reactivating the disabled PM filters on the old maps ?? I do like the changes made to the attributes. Now if we can just get everyone to use them! Looks like this fix didn't make it to the live site. We will investigate. Do you love the smell of a cache in the morning? Glad to see some of the new attributes. I already have 2 caches that I will make use of them on. I also am pleased to see the limit increased to 15. Hard to decided which ones to use when you are limited. T5 caches are highlighted as beginner caches if they have a low D-rating. I don't think that these are really beginner caches. thank you thank you for getting the API going for us blackberry users. Love how much control I got now with my blackberry!! Thank you again. I've been looking at this as well and I don't understand the mechanism here. I looked at my local area and see that plenty of traditional/low difficulty/low terrain caches that have been found recently are not labeled as beginner caches, while others are. I also noticed that a nearby 2.5/3.5 cache was labelled as a beginner cache, while nearby caches with lower ratings were not. I'm curious regarding the underlying logic of this feature. Android version of CacheSense is in private beta now. Other apps for other platforms are coming, there'll soon be more than you can shake a stick at - Groundspeak have not chosen to support the BlackBerry platform at all, they are simply staging the release and the way it shook out, CacheSense was first out of the gate. 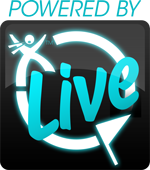 Don't let platform politics overshadow the main event.. the Geocaching Live API is huge leap forward for all of us.. Historically, there was no mention of age in the requirements for posting to the discussion forums. We've now added the following: "To post in the Groundspeak Discussion Forums, you must be 18 years or older, or under the supervision of your parent or legal guardian." What this is intended to mean is that users who are under 18 can post in the forums but only if they are supervised. While identification and enforcement may be a potential issue, we expect to use this provision in cases where abuse of the forum guidelines is taking place. Thanks - appreciate the update. By the way, from the last update, direct links to PQs and Lists were added so they can be accessed from anywhere. I had hoped for that for quite a while and really like it. Thanks for the clarification of the clarification!